Buddhism is one of the oldest and the most widespread religions in the world. Buddha for the Buddhist followers named at birth as Gautama Buddha or Siddhartha Gautama, is the great one who founded the religion and its practices. He defined all the principles of Buddhism and though he forbade idol worship, many idols of him were made after his death when the Buddhist followers got divided into two different sects. 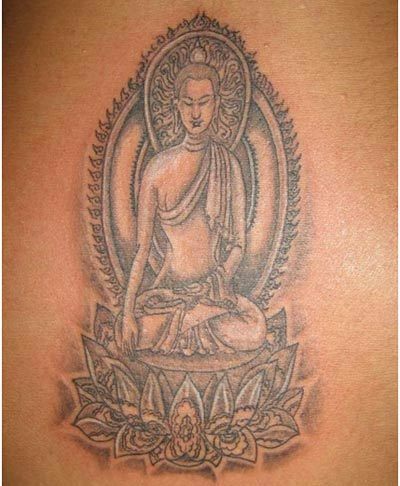 These idols are the images that come to your mind when you hear the word Buddha and these are the images that are foremost in Buddha tattoos. They depict Gautama Buddha in different positions and with different backgrounds, each symbolizing a special meaning of its own. 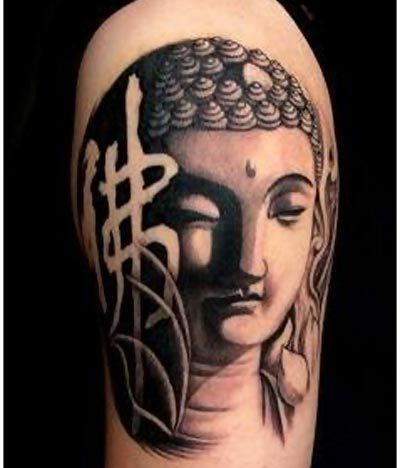 Here we list for you some of the most popular buddha tattoo designs. 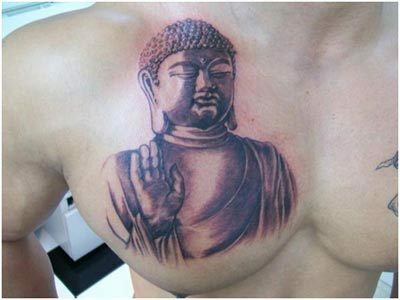 This is the simplest form of the Buddha tattoo where the Buddha is shown with a raised palm giving his blessing to whoever sees him. It may or may not include the whole figure of the Buddha, depending on the size you want it to be. Many Buddha statues have been made all over the ages since Gautama Buddha’s death. The most famous of them are in the Ajanta and Ellora caves where Buddha’s fingers are folded in different shapes called mudras. Each mudra symbolizes a different meaning. The lotus is used in Buddhist paintings as a symbol of the path of spiritual development. 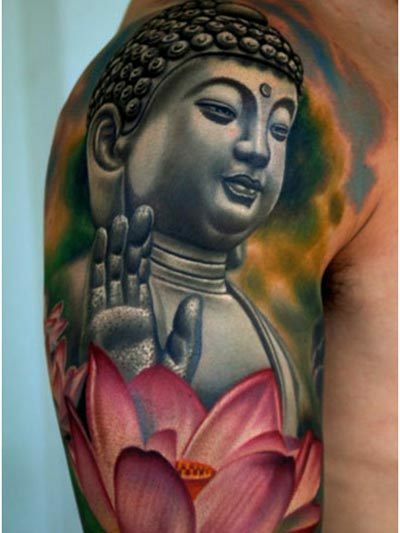 So many Buddha tattoos feature a lotus along with the Buddha face and his raised palm. Buddha in a meditative position is used by people to show their devotion to this religious sect or to the meditative mind of Buddha. The Buddha is shown generally seated on a lotus like seat with an expression of deep satisfaction on its face. Golden Buddha statues are found in almost every monastery. 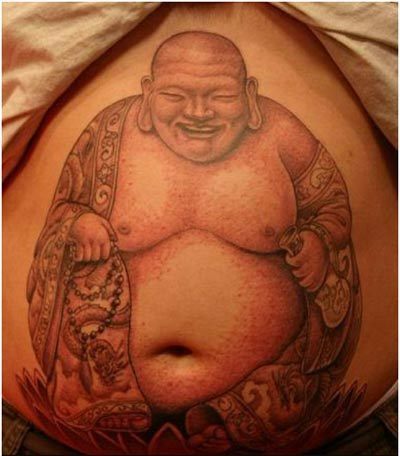 It symbolizes prosperity, power and happiness in a tattoo. Laughing Buddha is a common character of Chinese folklore and some believe that the laughing Buddha is going to be the next reincarnation of Buddha. It is generally represented by a big belly and a genial, happy face. 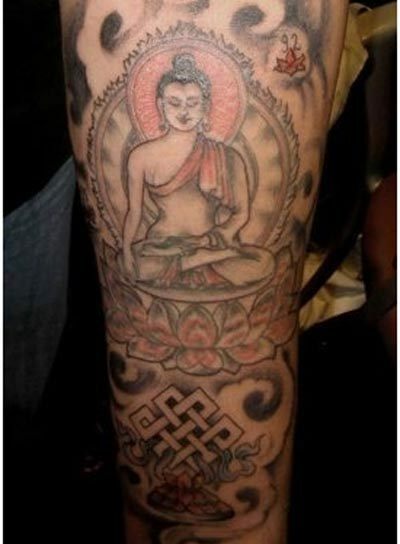 Many people choose to get only the face of the Buddha tattooed. It generally features short curls around a serene face, exemplifying tranquillity. 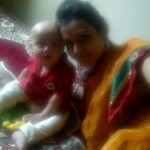 This generally serves as a symbol of peace and contentment. 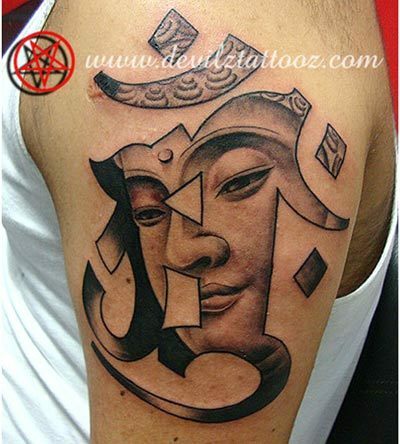 Many people get the tattoo with a Buddha face and the Chinese symbol of peace along with it. The colours used are black and grey. 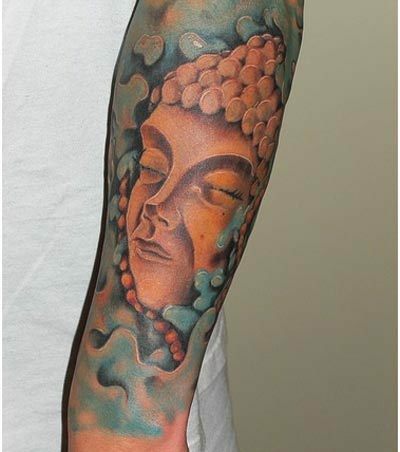 Buddha tattoos are generally made with single colour shades rather than using a variety of bright colours. The brightness of the image is sufficient to attract people’s attention. Using flamboyant colours to make it ostentatious is a superfluous act. 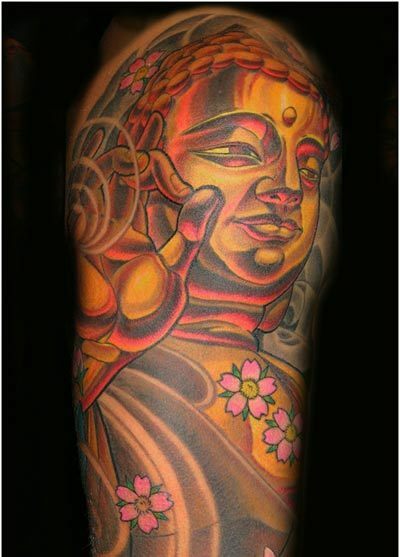 The Buddha figure in its typical meditative asana with one arm folded and the other resting on his knee is another common Buddha tattoo. Many a times the Buddha figure is made within a symbol which may say peace, Buddhism or something similar. 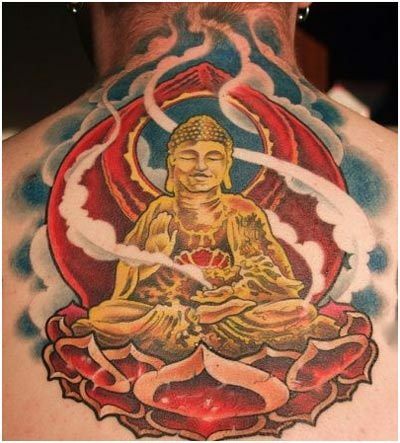 For some people just the Buddha’s form is not sufficient and so they add a smoky background with symbols and Buddhist markings, to the Buddha’s form. It gives the tattoo an enigmatic look.